The President of India, Shri Pranab Mukherjee has congratulated Shri Sumit Nagal for winning the Wimbledon Boys’ Doubles Title with Nam Hoang Ly of Vietnam. In his message, the President has said, “I am extremely delighted that you have won the Wimbledon Boys’ Doubles Title with Nam Hoang Ly of Vietnam. The nation is proud of your success at such a young age. I am sure that your accomplishment will be a source of huge inspiration to budding sportspersons of our country. I convey my hearty congratulations to you on this achievement as well as best wishes for further success in the years to come”. The President of India, Shri Pranab Mukherjee has congratulated Shri Leander Paes for winning the mixed doubles final of the 2015 Wimbledon Championship along with Martina Hingis. 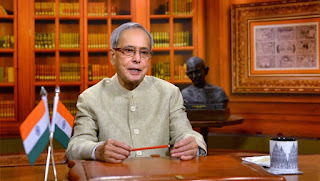 In his message, the President has said, “I am delighted that you have clinched your 16th Grand Slam Trophy by winning the mixed doubles final of the 2015 Wimbledon Championship along with Martina Hingis. 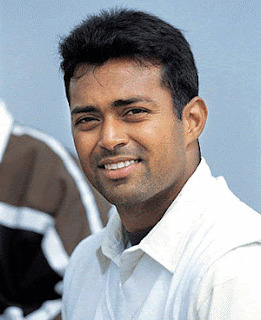 Your incredible achievement at the age of 42 makes you one of the best Ambassadors for sports of our country. Your qualities of sportsmanship are an inspiration to the youth and shows what is possible through dedication, hard-work and commitment. I convey my hearty congratulations to you on this achievement, as well as best wishes for the future”. The President of India, Shri Pranab Mukherjee has extended his greetings and felicitations to the Government and people of the Republic of Iraq on the eve of their National Day (July 14, 2015). In his message to His Excellency Mr. Fuad Masum, the President of the Republic of Iraq, the President has said, “On behalf of the Government, the people of India and on my own behalf, it is with immense pleasure that I extend warm greetings and felicitations to Your Excellency and to the friendly people of Iraq on the occasion of your National Day. India deeply values its close and friendly relations with the Republic of Iraq, which are rooted in ancient trade and cultural links and people-to-people contacts. We are confident that with the strong commitment of both our great nations, these ties will be further strengthened as we broaden our bilateral cooperation for the mutual benefit of the people of our two countries. India strongly supports the Iraqi people and Government in their efforts to overcome the current crisis, uphold national sovereignty and preserve their territorial integrity. 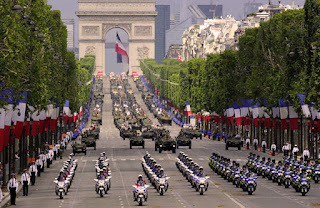 The President of India, Shri Pranab Mukherjee has extended his greetings and felicitations to the Government and people of the Republic of France on the eve of their National Day (July 14, 2015). In his message to His Excellency Mr. Francois Hollande, the President of the Republic of France, the President has said, “On behalf of the Government, the people of India and on my own behalf, it is with great pleasure that I extend warm greetings and felicitations to you and to the people of France on the occasion of your National Day. Bilateral relations between our two countries are friendly and broad-based. Our strategic partnership has gained a fresh momentum recently. I am confident that our fruitful collaboration including in strategic areas will continue to grow from strength to strength in the years ahead for the mutual benefit of our two countries and peoples. I am truly delighted to visit Tajikistan. We have links of history, the proximity of geography, the unity of spirit and harmony of our hopes. Above all, we have extraordinary goodwill between our people. This is a very special event. It is one of the most important that I have attended in my journey through five Central Asian nations in the course of the past week. I have travelled to many countries around the world. Wherever I have been, there is usually an event of this nature for trade, manufacturing or finance. This is the first time we have a joint event on agriculture, especially on a scale as large as this. Mr. President, thank you for the interest you have shown in this workshop. It is a mark of your vision for Tajikistan's development. As in the world of business, international partnerships can also be catalysts for the development of agriculture. 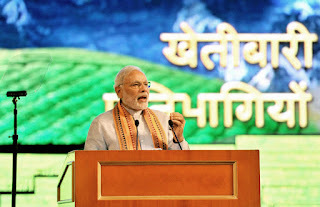 India's own Green Revolution is a visible and successful proof of that. It should be natural for India and Tajikistan to collaborate in agriculture, live stocks and dairy. We share many similar natural features. We are defined by mountains, rivers, sharp turns in seasons and fertility of soil. We are nations where a majority of the population live off the land. We both have shortage of cultivable land relative to our needs, especially when I compare ourselves to some of the countries I have visited. I know that with less than ten per cent of area as land fit for cultivation, Tajikistan faces this constraint more than we do. We both have pockets of abundance of freshwater, but we have both faced the challenge of managing our irrigation. Now we all face the impact of climate change on our agriculture. We can understand some of the problems that Tajikistan is facing today, because we have gone through that path ourselves. So, our solutions and our experiences may be more relevant to Tajikistan than, perhaps, what more advanced nations may have to offer. That is why our cooperation can be more fruitful for Tajikistan. After we gained independence in 1947, our journey in the agriculture sector has been remarkable. We faced many challenges – from small farms and low productivity to inadequate irrigation and infrastructure. Today, we are self-sufficient in food grains and one of the major exporters of farm produce and animal products. We are the world's largest producer of milk, one of the top producers of fruits and vegetables and one of the three leading producers of fisheries. Along the way, we have created a resource base that will be of great value to our friends in Tajikistan. We have world class institutions of research and training in agriculture, dairy and live-stocks under every possible climatic condition. We have developed farming techniques and farm equipment that are affordable and effective. We have created the most successful cooperative movement in dairy and one of the best dairy processing industries in the world. We have good seeds and processing technology and equipment. Some of these might be especially useful for cotton farming. And, we have done well with micro irrigation systems. We do still have a lot of challenges in agriculture in India. And, with the ancient creed of "अन्नदाता सुखी भाव" – may the provider of food be happy – we have launched many new initiatives to make our farms yield more and our farmers more prosperous. And, they cover everything from the health of farm soil to getting the most out of every drop of water; from access to markets to covering risks; from providing infrastructure to developing new technologies. Nothing will give us more joy than the opportunity to share all that we have with our friends. It comes from our ancient belief that we enrich ourselves when we share our fruits. It is a principle that also defines the great people of Tajikistan. So, we would be happy to open the doors of our institutions to your scientists and experts. We can help in increasing the range of crops you produce and the number of crops you get in a year. Greenhouse cultivation is a process that will be well suited for Tajikistan. We can collaborate in developing hybrids of cotton and wheat, two of your most important crops, so that they yield more and have greater resilience. This will reduce risks for farmers and increase the supply to consumers. We can share our experience in contract farming and developing the dairy industry, including dairy processing plants. Indeed, for Tajikistan, dairy and live stocks hold great potential to make up for the constraints of land. As part of our development partnership, we can explore credit support for supply of farm and post-harvest processing equipment to Tajikistan. We can work with you in water conservation and micro-irrigation, and in improving the health of the farm soil here. In India, we have launched a soil health card, just as the farmer might have his own health card. We can support the use of Space technology for better resource management. We have shared much with each other through the ages, including fruits and vegetables and our cuisines. Today, the possibilities of cooperation are endless. Realising them is important. 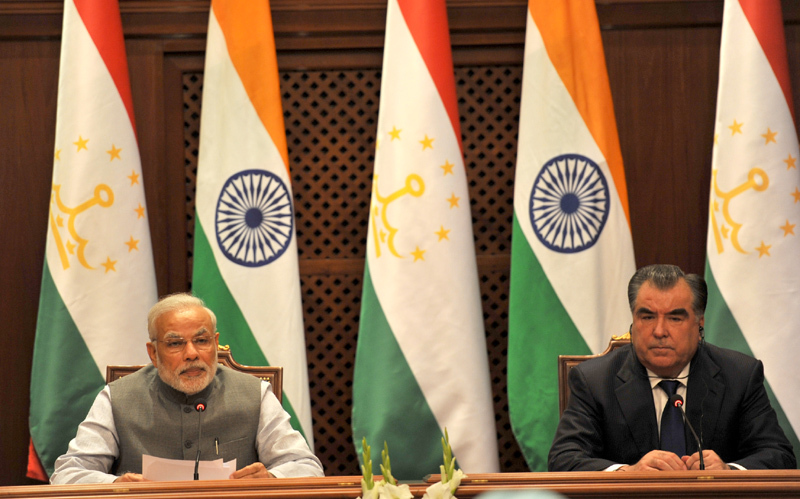 India and Tajikistan are strategic partners. This is one of our closest and most important relationships in the region. Ours is a shared enterprise of promoting development and prosperity in our two countries. It is also a partnership for promoting peace and stability in the region. We can't achieve prosperity unless development reaches the majority that lives off the land. That is how we can create a strong and stable society that can withstand the turmoil of our times and contribute to regional peace and stability. So, our cooperation in agriculture is central to the shared vision and aspirations of India and Tajikistan. return to India convinced that India and Central Asia must reconnect. It is important for the future that we seek for our countries and our region. So, we will improve our surface connectivity, as well as our digital and air connectivity. We will reach you through Iran and other Central Asian countries. But, I also hope that India and Tajikistan can connect directly, as we once were in history. Because, that will not only be the most natural way to trade, it will also bring benefits to everyone along the route. However, even as we build our connectivity, we will not wait. 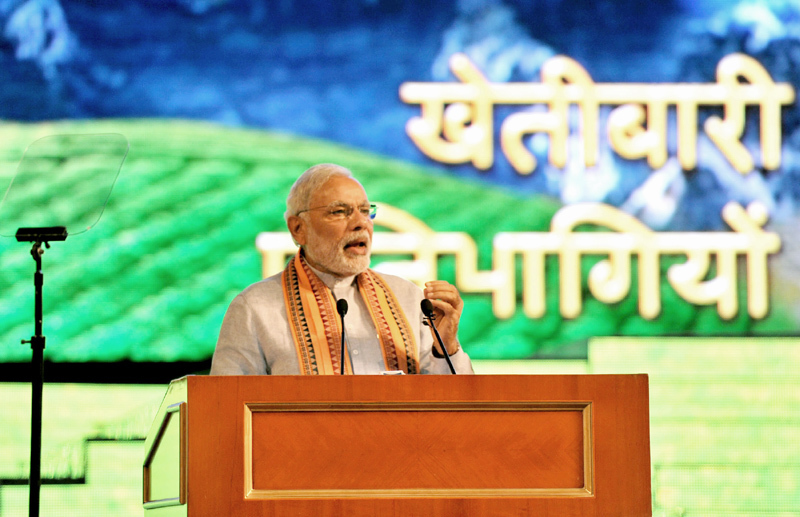 We will deepen our cooperation in agriculture and transform our relationship in every field of human endeavour. Because, the more we touch the life of every human being through our cooperation, more worthy will our cause be and stronger and more resilient will our relationship be. That is why this event today is so important for me. It reinforces my belief in the strength of India-Tajikistan relations and confidence in a great future of our strategic partnership. I wish you all great success. I thank the participant. I thank you, Mr. President, for your presence and your leadership. 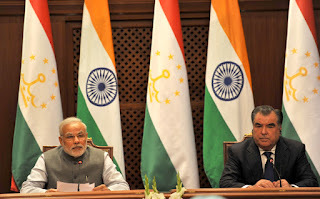 The Prime Minister, Shri Narendra Modi today, presented President of Tajikistan, H.E. Mr. Emomali Rahmon, a specially commissioned miniature painting of the tomb of the 17th century Indian poet Abdul Qadir Bedil who is regarded, especially in Tajikistan, as one the greatest masters of Persian poetry. Born in 1644 in Patna, Bedil was influenced by Sufism and wrote 16 books of poetry. Bedil died in Delhi where his tomb, Bagh-e-Bedil is located. 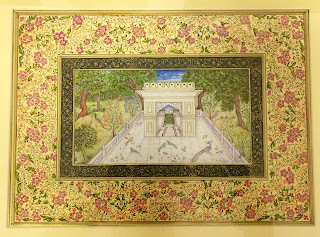 The miniature painting has been done by national award-winning Delhi-based artist Jai Prakash. Let me start by expressing my deep appreciation and gratitude to President Rahmon and the people of Tajikistan for the warm welcome and hospitality. I am delighted to visit Tajikistan. It is a beautiful country. This is the last stop on my visit to the five Central Asian countries. But, we sometimes save the special one for the last. We share deep historical, cultural and civilizational links. Tajikistan is nearest to India among all Central Asian countries. We are separated by a narrow corridor. Our linguistic links are the closest in Central Asia. Today, we have formed a deep bond on the basis of our shared aspirations for security and prosperity for our people, and peace and stability in our region. It is a great pleasure to meet President Rahmon. We met briefly in Ufa. His personal commitment and leadership is a source of great strength for our relationship. We discussed measures to tap the rich potential in trade and commerce and to encourage joint ventures and investments. We have tasked our Joint Commission to meet soon and finalise a concrete roadmap to expand our trade and economic ties. Agriculture is important to both our economies. I am delighted that President Rahmon and I will address a Workshop on advancing our cooperation in agriculture later today. Connectivity is vital for realizing the full potential of trade and commerce between our countries. We agreed to promote the International North South Transport Corridor. Other connectivity initiatives such as our planned investment in Chahbahar Port in Iran and intention to join the Ashgabat agreement will help. But, I also hope that we can establish a direct link to India that would promote prosperity across the region. We agreed to further strengthen our defence cooperation. It is a strong pillar of our strategic partnership. We are both located in the proximity of the main source of terrorism. 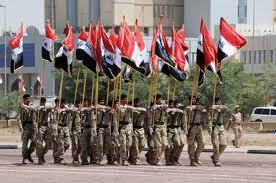 Combating terrorism and extremism has always been an important and productive area of cooperation. At a time of growing threat of terrorism, we have resolved to intensify our cooperation further. India and Tajikistan will also continue to support the aspirations of the Afghan people for a peaceful, stable and prosperous nation. We will work closely in international forums, including the United Nations, where we already support each other’s initiatives. I conveyed appreciation for Tajikistan's continued support for India's candidature for permanent membership of a reformed UN Security Council. India's membership of the Shanghai Cooperation Organisation adds a new dimension to our partnership. We are deeply grateful for the decision of the Government of Tajikistan and the authorities of Dushanbe to install a bust of Rabindranath Tagore in the city. It highlights the cultural and spiritual links between our two nations. The popularity of Tagore’s poetry in Tajikistan, is mirrored in the continued admiration of Bedil’s poetry in India. This is our shared heritage, of which we can truly be proud. I am delighted to release today the Hindi translation of Babujon Gaffurov’s masterwork on Tajik history. This would enable a much broader understanding of Tajik culture and history in India. Finally, I thank President Rahmon and Tajikistan for the support in making the International Day of Yoga on June 21st a huge global success. I wish to thank President Rahmon once again for the warmth of his welcome, which reflects the love and affection that the people of Tajikistan have for the people of India. This is a sentiment shared fully by the people of India. I have extended an invitation to President Rahmon to visit India at an early date and look forward to receiving him in Delhi. Prime Minister, Shri Narendra Modi, has congratulated Mr. Leander Paes and Ms. Martina Hingis for winning the Wimbledon Mixed Doubles Title. He also congratulated Mr. Sumit Nagal for winning the Boys' Doubles title at the Wimbledon. "More good news from Wimbledon. Congrats again, Martina Hingis. Leander, your accomplishments are truly inspiring and they make us very proud. It was very heartening to see Sumit Nagal win at Wimbledon. Congrats and best wishes to this young sportsman," the Prime Minister said. The Prime Minister, Shri Narendra Modi has congratulated tennis players Leander Paes and Martina Hingis, on winning Wimbledon mixed doubles title. More good news from Wimbledon. Congrats again Martina Hingis. Leander your accomplishments are truly inspiring and they make us very proud", the Prime Minister said. The POC envisages cooperation in the field of culture through exchange of expertise in protection, preservation and promotion of cultural heritage in both countries, exchange of information and experts and organization of cultural days in each other’s countries for greater cultural understanding between the countries. The Note Verbale conveys the intention of Indian side to set up computer labs in 37 schools in Tajikistan for supporting Government of Tajikistan’s human resource and skill development efforts. The NV also outlines responsibilities of both sides in implementing the project.